New GODZILLA teaser poster shows off the size of the creature. This is gonna be huge! As part of our SDCC 2013 coverage, we brought you two unique posters for next summer’s revival of the classic movie monster GODZILLA. Now we have a new teaser poster that actually shows the design of the beast. Well, part of him actually. This really gives you a good idea as to his actual size in the film. Monstrous would just be too easy. Another thing it does, along with the SDCC posters from before, is show that the film is really intent on being faithful to the original design of Godzilla unlike a certain Roland Emmerich / Matthew Broderick film from ’98…. So, there you go. What do you think? Are you excited to see what Gareth Edwards (MONSTERS) is going to deliver with the film? GODZILLA is directed by Gareth Edwards and stars Aaron Taylor-Johnson, Ken Watanabe, Elizabeth Olsen, Juliette Binoche, David Strathairn, Bryan Cranston and Sally Hawkins. SYNOPSIS: A presentation of Warner Bros. Pictures and Legendary Pictures, “Godzilla” will be distributed worldwide by Warner Bros. Pictures, a Warner Bros. Entertainment Company, except in Japan, where it will be distributed by Toho Co., Ltd. Legendary Pictures is a division of Legendary Entertainment. 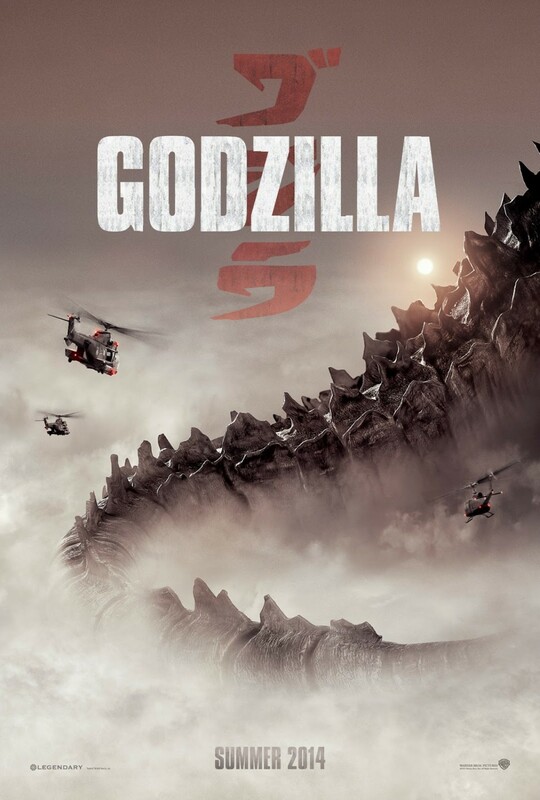 GODZILLA is set to stomp into 2D and IMAX theaters on May 16, 2014.